This post is written by Fang Yao. Fang is a Senior Analyst in the Economics Department of the Reserve Bank of New Zealand. The housing market played a prominent role in the 2007-2009 ‘great recession’ in the United States, and housing markets in other jurisdictions have also been worryingly volatile since the turn of the century. Elevated household debt and high house prices, combined with subdued inflation outcomes, pose a challenge for both monetary and macro-prudential policy. A recent conference aimed to enhance understanding of the linkages between housing, household spending and savings (borrowing) and explore policy responses. The conference on Housing, Household Debt and Policy took place in Wellington, and it was organized by the Reserve Bank of New Zealand on December 11-12, 2017. The organizing committee was composed by Christie Smith (Reserve Bank of New Zealand), Fang Yao (Reserve Bank of New Zealand), Robert Kirkby (Victoria University of Wellington), and Jonathan Chiu (Victoria University of Wellington and the Bank of Canada). Grant Spencer, Acting Governor of the Reserve Bank of New Zealand, provided opening remarks. His speech stressed the importance of better understanding housing and household behaviours, and in particular, using micro data analysis to inform policy decisions. Christopher Carroll (Johns Hopkins University) then gave a keynote address on “The normal science of heterogeneous-agents macroeconomics”. Carroll questions the micro foundations of representative agent models, likening them to Ptolemaic astronomy, in which geocentric planetary motion is predicted using increasingly ad hoc geometric epicycles rather than underlying laws of motion. He encourages the integration of heterogeneous micro behavior into macro models, taking aggregation seriously, and proposes the use of micro data to test competing hypotheses about consumer behavior. Carlos Garriga (Federal Reserve Bank of St. Louis) then presented his joint work with Aaron Hedlund (University of Missouri). Their paper analyses how arrangements in the mortgage market impact the dynamics of housing (boom-bust episodes) and the economy using a structural equilibrium model with incomplete markets and endogenous adjustment costs. In response to mortgage rates and credit conditions, the model can generate movement in house prices, residential investment, and homeownership consistent with the U.S. housing boom-bust cycle. The propagation of shocks to the macro economy is asymmetric with much higher consumption sensitivity during the bust than the boom, due to the endogenous fragility caused by mortgage debt. Following Garriga, James Graham (New York University) discussed how household’s consumption spending responds to aggregate, regional, local and neighborhood house price shocks. Using a large panel of consumers over the period of 2004-2015, he finds that aggregate price movements are associated with the largest consumption movements, but that neighborhood-level price movements have a stronger effect than city-level price movements. 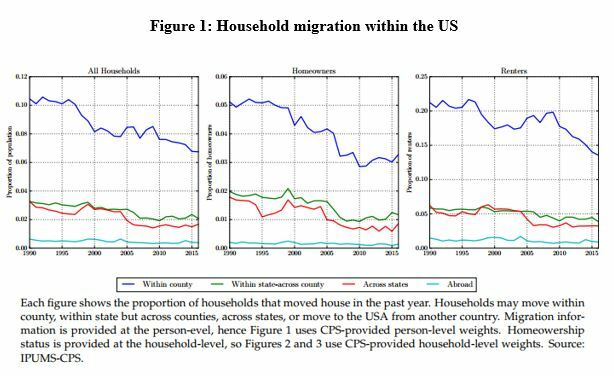 He explains this empirical finding by noting that households are more likely to move across counties or neighborhoods than they are to move between cities, states, or regions. Thus, a house price increase in a particular neighborhood generates a wealth effect for households likely to move to other neighborhoods. In the following session, Fang Yao (Reserve Bank of New Zealand) presented joint work with Jonathan Chiu (Victoria University of Wellington and the Bank of Canada), Robert Kirkby (Victoria University of Wellington), and Karam Shaar (Victoria University of Wellington). Their paper that identifies the marginal propensity to consume (MPC) out of housing wealth, using New Zealand micro data. The authors find an asymmetric interaction between the housing wealth effect and household leverage. In particular, when house prices are growing, household leverage weakens the MPC out of housing wealth. This result – that leverage weakens the marginal propensity to consume – stands in sharp contrast to Mian and Sufi (2013), who find that US consumers’ MPCs are larger when leverage is high, though in their data house prices are falling. Fiona Price (Reserve Bank of Australia), with co-author Giancarlo La Cava (Reserve Bank of Australia), studies a related topic using Australian household micro data. 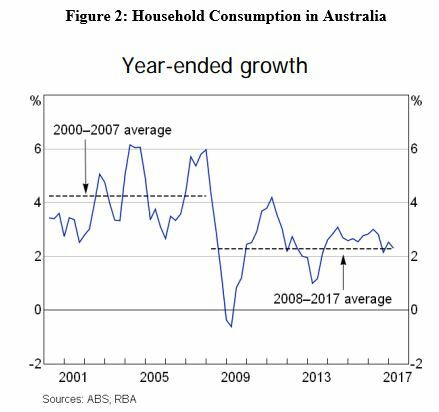 Their results suggest that a ‘debt overhang channel’ may exist in Australia: higher levels of housing debt (relative to income and assets) and lower debt-servicing capacity are found to reduce growth in spending. Dirk Krueger (University of Pennsylvania) concluded the first day with the second keynote address, titled “intergenerational redistribution in the great recession”, which presented joint work with Andrew Glover (University of Texas, Austin), Jonathan Heathcote (Federal Reserve Bank of Minneapolis), and José-Víctor Ríos-Rull (University of Pennsylvania). The Great Recession saw sharp drops in labour earnings and in asset prices. The authors construct a stochastic overlapping-generations general equilibrium model to study the welfare losses from these declines distributed across different age groups. The model predicts that the Great Recession implied modest average welfare losses for households in the 20-29 age group, stemming from poor labour market outcomes, but very large welfare losses of around 10% of lifetime consumption for households aged 60 and older, resulting from declines in asset prices. Greg Kaplan (University of Chicago) gave the third and final keynote presentation. His work, joint with Andreas Fuster and Basit Zafar (both Federal Reserve Bank of New York), collects and interprets new survey evidence, on households’ consumption response to hypothetical income gains. By surveying consumers about hypothetical consumption behaviour, Kaplan and co-authors can directly address a wide range of questions about the effects of changes in wealth. They find a range of interesting results, including size and sign asymmetries, little responses to news, and important liquidity effects. They further contrast these findings with theoretical models and find that the two-asset incomplete markets model of Kaplan and Violante best matches the empirical findings. In the following session, Aaron Hedlund (University of Missouri) presented “Monetary policy, heterogeneity, and the housing channel”, in which he and co-authors Fatih Karahan (Federal Reserve Bank of New York), Kurt Mitman (Stockholm University and CEPR), and Serdar Ozkan (University of Toronto) investigate the role of housing and mortgage debt in the transmission and effectiveness of monetary policy. They build a heterogeneous agent New Keynesian model with a frictional housing market to quantify the various mechanisms. The quantitative findings are as follows: 1) About 20% of the drop in aggregate consumption from a contractionary monetary shock is due to declining house prices; 2) Responses are asymmetric, with contractionary shocks yielding a larger response of all variables; and 3) Monetary policy is more effective in a high loan-to-value (LTV) environment. Andrew Coleman (University of Otago) next presented work which develops a heterogeneous agent overlapping generations model that examines how the neutrality of the tax system with respect to inflation depends on the price elasticity of the housing supply. Coleman’s model, which endogenizes house prices and rents and incorporates detailed tax regulations and bank-imposed credit constraints, shows 1) Inflation has large effects on the tenure arrangements of young households irrespective of the housing supply elasticity; and 2) Inflation can improve the welfare of some low income young households if the supply is sufficiently elastic. The welfare costs of inflation are reduced by taxing real rather than nominal rates of interest. In the first afternoon session, Patrick Moran (University of Oxford) presented “Temptation, commitment, and hand-to-mouth consumers”, joint with Agnes Kovacs (University of Oxford). This paper rationalises the existence of “wealthy hand-to-mouth” households by arguing that households are tempted to consume their liquid assets, and therefore purchase housing as a savings commitment device. A life-cycle model with non-standard preferences is able to match the empirical fraction of hand-to-mouth households and rationalises heterogeneity in the marginal propensity to consume. Yunho Cho (University of Melbourne) and coauthors Shuyun May Li and Lawrence Uren (both at the University of Melbourne as well) explore the implications of negative gearing tax associated with housing investment by conducting a quantitative study of the Australian housing market. They find that removing the tax advantage that prompt negative gearing would result in lower house prices, as well as higher rents and homeownership rates. Their welfare analysis suggests that eliminating negative gearing would lead to an overall welfare gain of 1.5 percent for the Australian economy, with 76 percent of households becoming better off. However, the welfare effects are heterogeneous across different households. Renters and owner-occupiers are winners, but landlords, especially young with high earnings, lose. In the last session, Lasse Bork (Aalborg University) presented work with Stig Vinther Møller (Aarhus University) decomposing the metro-level house price variation into aggregate structural shocks and regional structural shocks. They find that regional shocks have a significant positive effects on the house prices in the metropolitan areas of California, while the aggregate counterparts were often small but nevertheless non-negligible, as seen in the historical structural decomposition of the house prices series. Selva Baziki (Central Bank of the Republic of Turkey) presented the last paper of the conference. Her paper, co-authored with Tanju Çapacıoğlu (Central Bank of the Republic of Turkey), studies how two policy shocks to LTV ratios affected bank lending and unsecured borrowing by households, using a unique and comprehensive bank-linked individual credit data set from Turkey. They show that following the introduction of an LTV cap, banks that were previously above the limit reduced residential lending in favour of unsecured general-purpose loans to new residential borrowers and riskier commercial loans. The conference brought together researchers from academia and central banks, and demonstrated that there is rich and vibrant research investigating households, housing, and household indebtedness. Researchers are using sophisticated quantitative and theoretical models, and are expanding research horizons by using excellent micro data. We have learned a great deal about the drivers of housing cycles, their consequences for the real economy (in particular household spending and savings), and their implications for tax, monetary and macro-prudential policy. The papers in this conference offer new data, new analysis, and new insights, and we hope they will inspire future research.